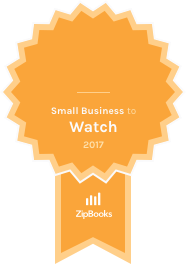 O’Donnell, Texas — ZipBooks is proud to recognize Pixel Happy Studio as a ZipBooks Small Business to Watch for August 2017. Pixel Happy Studio was selected across all small businesses using the ZipBooks platform. Pixel Happy Studio is a small web design company that builds WordPress websites. They especially love working with professionals and small businesses that offer quality products and services, non-profits, and health practitioners who help others find wholeness. Founded in 2014, they have offices in O’Donnell, Texas and Beer Sheva, Israel. Yael Matsliah, founder of Pixel Happy Studio, enjoys working with people who dream big. “We love working with those committed to making the world a better place,” she explains. Pixel Happy Studio builds WordPress websites. They especially love working with professionals and small businesses that offer quality products and services, non-profits, and health practitioners who help others find wholeness.